Hi! Erin here posting for Friends With Flair. You know what to do, post your Unity projects and share the love! 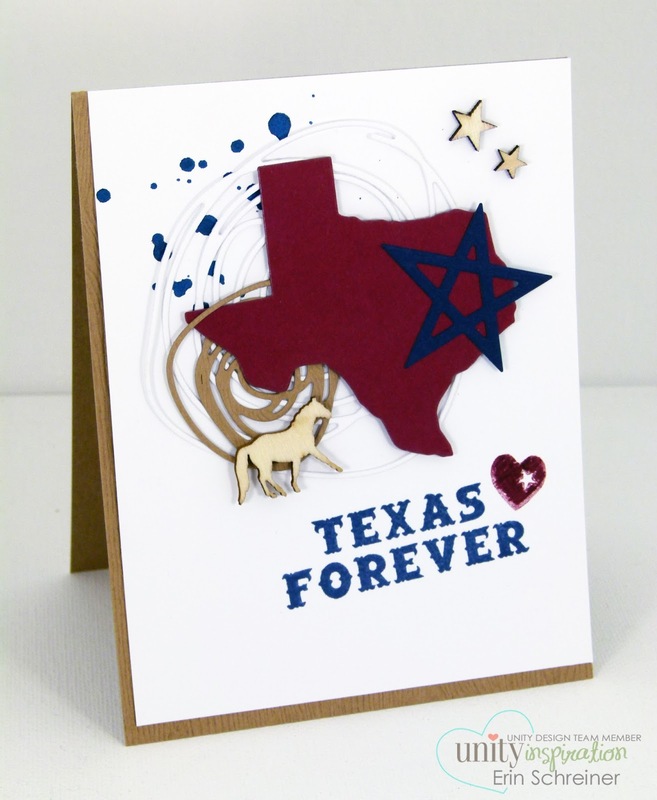 Here's a card I made with a fun new Texas die I picked up at my local stamp store. It was a perfect match with a sentiment from Cowgirl Up. Yee haw!